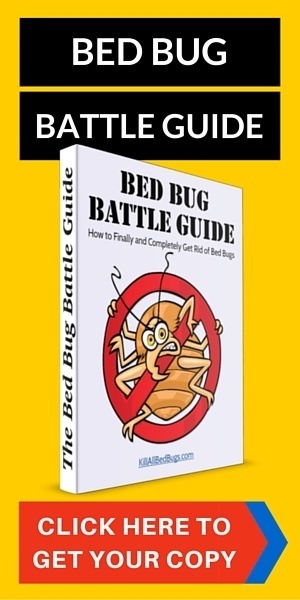 This is one of the bed bug home remedies that truly works (it’s also what a professional would use to take care of your bed bug problem). 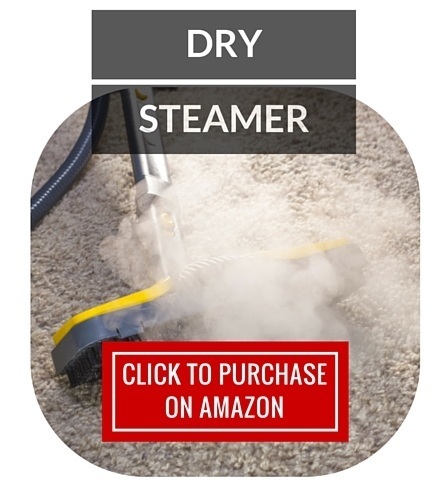 A dry steamer (which you can purchase for around $300 on Amazon) is a vacuum-like device usually used for cleaning carpets, fabrics, sofas, mattresses without making them moldy through spraying out too much water. (A) A dry steamer gets up to enough heat in order to kill bed bug eggs, which require a very high temperature! (B) A dry steamer can work on tough furnitures like sofas, carpets, and mattresses that you can’t put into a wash but yet are way too valuable to just throw away. (C) A dry steamer is a long term investment – after you’ve successfully dealt with your bed bug problem, you can continue to use the dry steamer for cleaning your carpet and furniture. The main disadvantage of getting a dry steamer is the cost. But, even though $300 seems like a lot of money at first to spend on solving your problem, the fact of the matter is, a good dry steamer can save you a ton in furniture (and avoid the need to spend more money on a professional exterminator) and has long-lasting benefits beyond just bed bug extermination. If you’re looking for a good dry steamer, try the Vapamore MR-100 as many people have amazing success getting rid of bed bugs with it. One word of warning about the dry steamer – please follow safety precautions when using a dry steamer and keep pets and children away from it as it does emit steam at very high temperatures! We highly recommend using diatomaceous earth after you’ve finished the dry steaming treatment on your flooring and furniture. This will kill any lingering bed bugs that weren’t killed by the dry steamer as well as kill any bed bugs that get hatched after your treatment or that you bring into your home again. Diatomaceous Earth is a simple white powder-like substance made from a sedimentary rock. It’s a natural pesticide that’s safe to put around your home (just be careful not to breathe it in when you open the pack!). You can then sprinkle this powder around your home (especially the corners of the room and under your bed). Then, when the bed bugs walk across this powder, they will be dehydrated by the diatomaceous earth and thus be killed. This is a cheap and easy method of ensuring you kill every last bed bug in your house, even the ones that escaped every other method you used! And, like the dry steamer, it has uses other than killing bed bugs (e.g., to kill other insects in your home or garden). There aren’t really any disadvantages to using this method except that you need to use it in conjunction with a dry steamer for effectiveness. Rubbing alcohol is a super cheap and very safe method of killing bed bugs (just don’t drink the stuff!). However, as you probably already know, rubbing alcohol evaporates very quickly, and so it’s best for killing large bed bug infestations that you can see. Pour it into a spray bottle and spray live bed bugs with it. All the other methods mentioned in this article are home remedies that you can implement yourself. However, if you don’t have time or the patience to do it yourself, then a great option is to hire an exterminator to kill the bed bugs for you. This of course isn’t cheap and the exterminator will have to come out several times to finish the job properly. Even then, there’s a good chance there will be some bed bugs or bed bug eggs that will have been missed, so we still recommend you implement a second method like using diatomaceous earth to kill any residual bed bugs. 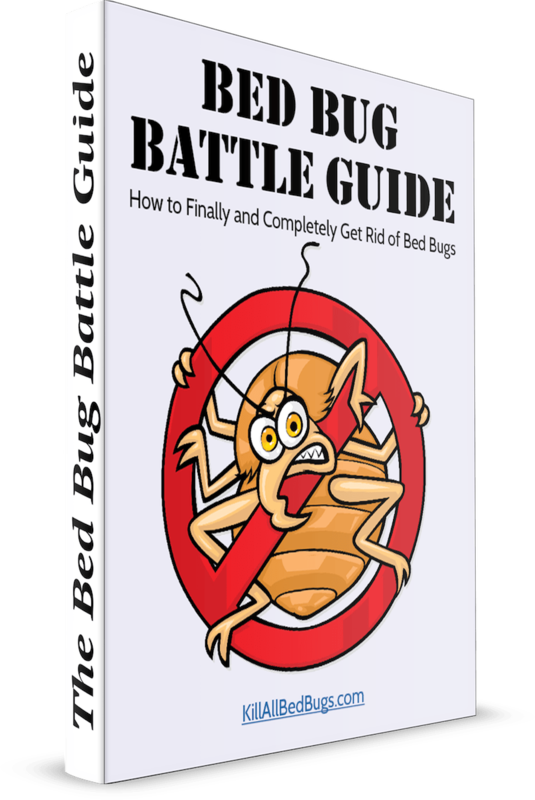 Again, the main disadvantage to using this method is the cost, but if you have a serious bed bug infestation, then it might be in your best interest to spend the money up front instead of suffering for months while you test out less expensive methods. If you do decide to hire an exterminator, please visit the bed bug extermination section of our website first. Among other questions that you should ask a potential exterminator are how many treatments will be required and included in the price, what types of extermination they will use, what type of insurance they carry, and what preparations will need to be made on your part. It is also very important to check with any exterminator that you hire before you undertake any other home remedies, as there are many home remedies that will actually interfere with or hinder the success of an exterminator’s measures. This is the method I often see being recommended the most. But unfortunately, most bed bug sprays do not work that well! And they only work on killing live bed bugs, but not bed bug eggs. Let me diverge for a second and explain the importance of killing bed bug eggs. If you don’t get rid of them, then new bed bugs will hatch and will terrorize your nights again. So, not only do you want to kill all the living bed bugs but you also want to get rid of all the bed bug eggs in your home. That’s why the dry steamer is the best option – it will kill both live bed bugs and bed bug eggs! That way you’ll be able to rid yourself of bed bugs from the root. I know that chemicals have long been the method we have turned to in order to get rid of bed bugs (as well as other pests), but the most effective chemical for eradicating bed bugs (DDT) is banned in many countries, and we are very conscious about not introducing chemicals into our homes that might be harmful to ourselves or to our families/pets. Unfortunately most “safe” and “natural” bed bug sprays are not very effective. If you really want to buy a bed bug spray, then the best one we’ve found is the Eco Natural one (available here on Amazon). Note also that bed bugs are developing resistance to many chemicals, and so it’s never a sure bet. That said, bed bug sprays are of course a very easy and cheap method to kill bed bugs. If you want a more in-depth review of different bed bug sprays, please visit the bed bug spray section of our site. While this does work to get rid of some bed bugs, you will no doubt miss many live ones as well as many eggs with your vacuum. That’s why we recommend starting with this method while you wait for your more effective methods to arrive (like the dry steamer). This method is along the same lines of method 6 above. It’s a good first step to start with since most people have washers and dryers, but it’s not that effective at killing bed bugs or their eggs unfortunately. Also, you obviously can’t stick certain items like your entire mattress into the washer! While a dry steamer can help clean the outside of your mattress, there’s still the immediate issue of bed bugs biting you every night as well as the fact that some bed bugs (and eggs) might be deeper inside the mattress, beyond the reach of the dry steamer. So, if you’re planning to keep your mattress, then go get a good mattress cover (like this one). This is also a great preventative measure anyway. A mattress cover is like a sealed plastic cover that fits over your mattress (make sure to get the right size for your mattress), and when it’s sealed shut, it should keep all the bed bugs inside the mattress and not out to bite you. Ultimately, the bed bugs will die off due to starvation inside the mattress cover. This all depends on a good mattress cover that seals well – I suggest taping over the zipper and checking to make sure there aren’t any gaps or tears in the cover. We obviously would prefer if you didn’t have to lose any of your possessions. However, if the infestation (e.g., on your mattress or sofa) is dire, then throwing it out carefully may be a better option than trying to clean it. While I know this is a stressful situation for you, please try to take care when you discard items infested with bed bugs – for clothes, place them into plastic bags and seal them and for mattresses, place them into a mattress cover. If you’re placing them on the street for the garbage collector (which I see often in New York City), then please place a note on it stating that it contains bed bugs so that people looking for bargain furniture don’t pick it up by accident! Remember that these methods on how to get rid of bed bugs should not all be used independently of one another. Our best suggestion would be to dry steam your entire home, use a bed bug mattress cover, and then sprinkle diatomaceous earth throughout your home. Above all else, if you know that you have bed bugs, please take action as soon as possible, since the problem will only get worse, no matter how bad or not bad you think it is right now. Bed bugs do not just go away, and the longer you wait, the harder it will be to completely eradicate them. What Kills Bed Bugs and Their Eggs? Thank you, very helpful. One YouTube video recommends Clorox Clean-Up. How does that compare to alcohol? Just curious. I’m starting the “fight” today or tomorrow. It will work about the same. If it comes into contact with a bed bug, then it will kill it. The problem is that it doesn’t necessarily kill eggs, nor does it stay around for long to kill bed bugs that either hatch or that you don’t get the first time. That’s why we recommend diatomaceous earth. I would like to know how long a bedbug and/or eggs live or remain viable. I have placed a box spring and mattress in a bedbug mattress cover about 2 years ago. We would like to start using the set again, but are unsure if the bedbugs/eggs that might have remained on them are still alive/viable after that time. The set was stored in the basement during that period, so there were no temperature extremes that might have aided in their demise. Thanks much for your time and attention to this matter. There is some debate on this. In labs, they’ve seen bed bugs live around 2 years without feedings, although that’s probably about the extreme. Typically, they’ll only live a few months without feeding. If I were you, I would dry-steam the mattress and box springs before I used it, but then again, I’m very cautious about this type of thing. I know I have bed bugs (on and off for over a year now) but I have no idea where they are hiding. I have attempted having professionals (which were no help whatsoever) as well as my own DIY. I have encasements (Have bought 3 sets for my box spring since they ripped) so hopefully the ones in my boxspring are not getting out again. So, after I found the rip in my encasement and bought a third one, I haven’t seen any on my bed but I still see them dead in the climb ups and around baseboards (like, 6 total or so). I don’t know what to do at this point anymore. I have no clothes here at my house, don’t stay here, vacuum and clean constantly and I have a dry steamer, phantom bug spray, and I am trying to get DE. What steps should I take? I live in a loft apartment – pretty much a studio type apartment. So I feel like they are in my entire house but I’m not sure? I need help! It sounds like you’ve done just about everything. My one suggestion, since you say that you’ve had them “on and off” for over a year is to really be persistent about treatment for a full 3 months. What I mean is that I would treat everything in the apartment with the dry steamer and the DE at least once a week for 3 months. You may have already done this, and if so, then I apologize, because I won’t have any better suggestions. Diligence is usually the key, and many people relax a bit when they think they’ve gotten rid of bed bugs, but that often just give the bed bugs a chance to build back up. You know what? That may actually be my problem. Because I have always gotten so relieved when i would stop seeing them so I would relax and be super excited to have my life back. I am getting my shipment today with my DE and duster and more phantom and some nuvan strips. I haven’t seen any since my treatment last week. He told me to apply phantom in 10 days so I am going to do that. So, you suggest that after that I keep putting the DE down once a week? I think I keep forgetting about the eggs – Damn! I actually didn’t think about the retreatment and I appreciate your help. Yeah – that’s my best advice (to put down the DE once a week). Given how hard they’ve been for you to get rid of, I might even dry steam once a week. The dry steamer should destroy any eggs it comes into contact with, but it’s almost impossible to dry steam everywhere in your apartment that bed bugs may live and breed. That’s why the DE is great, because it tends to kill any stragglers, since it lasts for a longer time than sprays do. How do you apply the DE? What’s the best method? What if you have children and pets? Is it safe? You do want to be careful around kids and pets. Make sure you buy food grade DE, which is generally safe, but that said, try to keep your kids and pets from eating it. I’d sprinkle it everywhere. The point of DE is that it stays around for a while and kills any bed bugs that aren’t killed by your initial treatment, so you want it to be as many places as possible. I moved into a house back in Jan. of this year when I moved in I bought all new furniture throughout my house. I didn’t notice anything at first but for the last 5 or 6 months the biting has gotten worse and I’ve even woke up in the middle of the night to find them crawling on my clothes. UGGGGG! I am 9 months pregnant and have three other children 6 yrs and under I am the only on with bites my husband doesn’t have any at all and he sleeps next to me, does this happen? Also I need to be sure that these methods are safe for children and what I can do before my baby arrives. I’m losing my mind trying to get rid of these things please any suggestions will be greatly appreciated. Thank you. It’s entirely possible that your husband may not react to bed bug bites. There is a substantial portion of the population that doesn’t react to getting bitten. In terms of safety, obviously a dry steamer is only dangerous to the extent that it can burn someone if it comes into contact with them. This is a real concern, and I do recommend being very careful when using a dry steamer. I suspect that you’re more concerned about Diatomaceous Earth. My thought is that DE is generally preferable to and safer than chemical sprays. 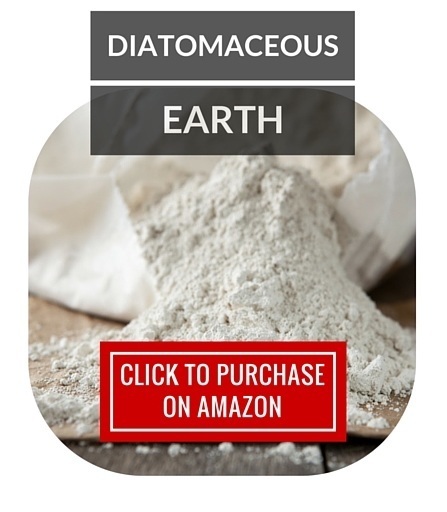 Diatomaceous Earth actually comes in Food Grade, which is what you should buy. Many grains like wheat are actually stored with diatomaceous earth in order to keep them dry and keep out some pests. What that means is that you probably eat small amounts of diatomaceous earth on a regular basis. In other words, it’s pretty safe. I’m not suggesting that you let your kids eat any DE that you use around your house, but it’s much less toxic than chemicals. My biggest tip, as always, is that you have to be thorough and keep treating. If you use a dry steamer on EVERYTHING in your house twice in one week and then sprinkle DE everywhere, you’ll likely feel that the problem starts to go away. That’s when you have to be most diligent. I’d use the dry steamer at least twice a month and keep the DE sprinkled around, both for probably 6 or 8 months. If you let up, they’ll come back. THANK YOU!!! THANK YOU!!! THANK YOU FOR THIS BLOG!!! I tried DE and it worked well. I also tried Eucoclean and it’s 100% all natural. I have my parents, a newborn baby and two pets in the home and it didn’t bother any of us. Thanks again for recommending DE. What you fail to mention is that DE repels the bed bugs. They will avoid it. Also, I saw a video where one bug was crawling through a pile of it. One person used it liberally all over. A month later, he saw a tiny white bug crawling across his bed! It was a bed bug with DE all over it. These reasons are why I will not try it. I’ve had good luck with Bedlam. Thing is, you must use it frequently and it can get expensive. I still have them, but they are fewer. After all the research I’ve done and all I’ve tried, I am convinced that the only way to truly eradicate them is by heating the whole house or apt. to 150 degrees F. for hours. Your thoughts on this? I have a light-infestation of bed bugs. Have no idea where they came from and when I first saw them, I did my best to find their hiding places on mattresses and in the bed frame and eradicate them. I also washed and dried everything in high temperature. That was only 4 live bugs total I found, plus 6 body shells. It worked for 8 weeks then we started getting bites again, and I found a few alive. Did the same process but now I’m more concerned about eggs and this being just the tip of the iceberg. I have ordered matrress encasements, DE (food grade), and will again wash everything. I want to use steam but the price of $300 for one is currently out of my budget for the moment. Are there resources to rent one for $50-$75? I saw you mentioned using one weekly for many weeks. Currently, we suffer maybe 1-2 bites a night, if that. One additional point – I want to avoid using chemicals or fogs because I have two children under 5 in the house who are sensitive to these things. Hi, After having found that I have bedbugs I removed the clutter from my room, vacuumed several times over the past week and threw away my bed and box spring. (They were old anyway). I bought a futon bed since there are only 6 posts that come in contact with the ground then spread the bedbug powder around the entire room along the edges, then caked a nice size pile of powder around the posts touching the ground. I positioned my new bed a few inches from the wall as well. The only way I could imagine a bedbug getting into my new bed would be for it to jump or fly on to it. So my question is: Can they fly or jump? I have bed bugs and know where they are hiding, but their hiding spot is making it hard to get rid of them. I rent a duplex that has wood paneling for walls and the bugs are hiding behind them. My land lady will not hire an exterminator since it states in my lease that any bug problems are my. We have tried numerous sprays, and have every matress and all the pillows in cases and we are still getting bitten, for me it wakes me up at the same time every night. The only way to prevent me from getting bitten is to tuck my pajama pants into my socks, wear a long sleeved shirt and then tuck the sleeves in to gloves that have a velcro closure. Is there any way to kill them behind the paneling without it ruining the walls? Where can I purchase DE in the metro Detroit area? HOW CAN I CLEAN THE VACUUM AND THE DRY STEAM VACUUM AFTER I’M DONE CLEANING SO CONTAMINATE ANY PLACE IN THE HOUSE??? PLLLLLLLLLZ I NEED THE RESPOND AS SOON AS POSSIBLE?